How Do We Change The Statistically Low Graduation Rate Of Low-Income Students? How Do We Prepare Low-Income Students To Be Workforce And Graduate School Ready? With The Changing Demographics In Los Angeles And Across The Country How Do We Meet The Educational Challenges Our Nation Faces In Colleges Across America? As A Generation Who Once Found Our Fathers And Mothers As First Generational College-Bound Students, How Do We Make The Transition Smoother for This Generation Of First In Their Family College Bound Seniors? The L.I.F.T. 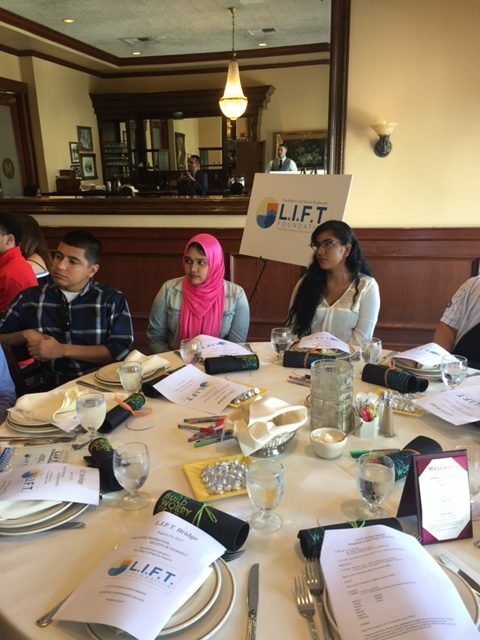 Foundation is committed to providing mentorship for all L.I.F.T. 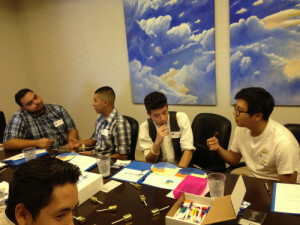 Scholars during their four-year college journey and beyond. We believe first in their family, low-income college students will be successful in their college pursuits if they have someone they can turn to for support, encouragement, and advise. They often do not have family or community members who have gone through the college experience or know what it is like to live away from their community and home. Every L.I.F.T. Scholar receives, not only financial assistance, but mentorship during their four-year college journey and beyond. Each and every recipient convenes with their mentor on a regular basis in order to discuss any concerns and share successes. Mentors encourage students every step of the way by being a supportive listener, and, if need be, an academic guide — helping them to develop fundamental study-skill techniques, make good decisions regarding class and major selection, and positive life choices. When necessary, they provide resources for students for assist a mentor cannot fulfill, from professional counseling to tutorial assistance. Every L.I.F.T. Scholar, since 2009, when The L.I.F.T. Scholarships were first awarded, is on target to graduate or has graduated with exceptional grades, competitive internships, and graduate school/workforce ready. These young people are our future! The investment in them is an investment in every higher education institute and every community! Become a Volunteer Donate to L.I.F.T. Starting Summer, 2014 all L.I.F.T. Scholars will participate in the L.I.F.T. Bridge program to help with the academic and social transition to college. Studies suggest that as twenty percent of low income entering college freshman never make it to the first day of class.